Rosemary Sullivan remembers the life and lessons of poet P.K. Page. P.K. Page died at home early Thursday morning at the age of 93. She was certainly one of Canada's greatest poets. Productive to the end, this past November she published two new books, a long poem called Cullen and a trilogy of children's fables called The Sky Tree. "To keep living," she said, "I need to write." Otherwise, living made no sense. 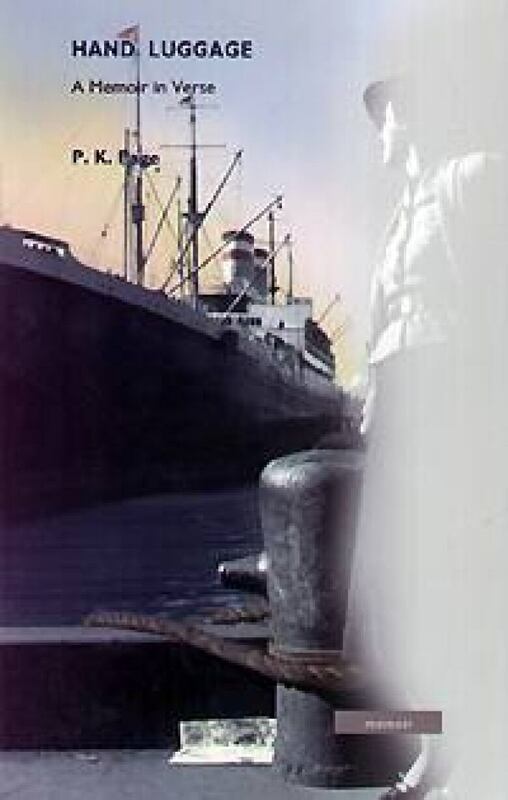 In her long career, Patricia Kathleen Page published over 30 books — poetry, fiction, essays, children's stories, a novel and an autobiography. She also wrote lyrics and libretti. Under her married name, P.K. Irwin, she established a reputation as a painter, with works in the collections of the National Gallery of Canada, the Art Gallery of Victoria and the Art Gallery of Ontario. She was a winner of the Governor General's Award for Poetry, recipient of honorary degrees from eight universities and a Companion of the Order of Canada. A poet of her stature comes along only rarely. P.K. 's life was wide and varied — "lucky," she would have said. Born in England, she came to Canada at the age of two. Her father was a cavalry officer stationed in Red Deer, Alta., which meant that she spent her childhood on the Prairies. In her autobiographical sequence Hand Luggage, she describes the thrill of riding out over the plains on horseback. After living in the Maritimes, she moved to Montreal in the early 1940s and got herself a job as a filing clerk and researcher so that she could write at night. With the homing instincts of a carrier pigeon, she found her way to the Preview Group of poets and soon counted A.M. Klein and Frank Scott as her friends and mentors. Though she was much younger, they counted her their equal, which she proved to be when she published The Metal and the Flower in 1954 and won the Governor General's Award for Poetry. While working at the National Film Board in Ottawa in 1950, she met and married Arthur Irwin. Shortly afterward, Irwin was appointed high commissioner to Australia and ambassador to Mexico, Brazil and Guatemala. This changed P.K. 's life. Brazil and Mexico immersed her in ancient symbologies. In an essay about writing poetry called "Questions and Images," she explained: "If Brazil was day, then Mexico was night. All the images of darkness hovered for me in the Mexican sunlight. If Brazil was a change of place, Mexico was a change of time. One was very close to the old gods here … The great temples rose all around me. Temples to the sun. Temples to the moon." For her, North America was "a random or whim-oriented culture." Though her return to Canada in the mid-1960s was initially painful, she found a way to integrate her understanding of these ancient cultures into her work. Both in poetry and painting, she was interested in form and inner spaces. Few poets had her impeccable linguistic sense. She could be playful and witty. "What is the difference," she once asked, "between 'there' and 'here' except for a wayward and wandering 't'?" And yet she was always ready to take seriously the idea that human imagination could intuit other dimensions of reality. She once recorded a dream in which she saw two dogs standing in a field. Though they were Irish setters, they were golden rather than red in colour. Each had two blue eyes and, above these, a third eye that was human. The thought of the dream was: If the dogs' third eye is human, what is our third eye? "It was," she said, "an informational dream." CBC ARCHIVES: Click here to hear a 1983 radio interview with P.K. Page by Peter Gzowski. I first met P.K. in 1974, when I was a young professor at the University of Victoria. I so loved her poetry that I sought her out, and she became a kind of mentor to me, encouraging me to write poetry myself. We became close friends. I loved Arthur, too. He was a passionate Canadian nationalist. I've edited some of P.K. 's work, including a collection of stories called Up on the Roof. She always sent me (and other close friends) her new work. It was through P.K. that I met Leonora Carrington, the great Mexican-British painter who was the catalyst for my recent book Villa Air-Bel. P.K. 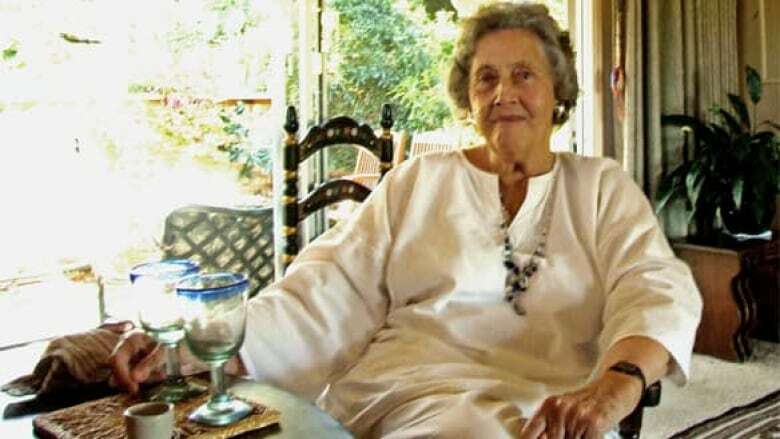 and Leonora had been collaborators in art and close friends in Mexico. Once, I had the pleasure of attending a performance of Stindberg's Dream Play with P.K. at Toronto's Tarragon Theatre. The play was staged as puppet theatre, with the puppets manipulated by black-clad dancers. She leaned across to me and asked: "Who or what is manipulating us?" In her search for answers, she read Jung; she practised lateral thinking; she read Rumi and the Sufis. No poet had a more impeccable sense of timing. Somehow, when P.K. broke the syntax of a line – and you heard it best when she read her poems aloud – something cracked in you and opened out to the light. As she wrote in her poem Another Space: "Some pain that halved my heart / is proved, in its melting, ice." She understood that the rhythm of poetry was profoundly tied to the rhythms of the human brain, touching something archaic, something primordial in us that we connect with only rarely. Her most popular poem, Planet Earth, turned her into something of a hero and a pioneering environmentalist. It is a long, elegant piece; its message is that we can only save the planet by thinking of it as a living organism: "It has to be made bright, the skin of this planet … We must draw it and paint it/ our pencils and brushes and loving caresses/ smoothing the holy surfaces." Planet Earth was selected by the United Nations in 2001 to be read in various locations in celebration of the program Dialogue Among Civilizations Through Poetry. "What is fiction, what is fact?" she asked over and over in her prose and poetry. Is there anything we can call truth? And who are "we," desperately asking to locate ourselves in this endlessly metamorphic, lonely cosmos? With an understanding earned by a lifetime of paying attention, P.K. assured us that this cosmos is threaded with love, if we are brave enough to search for it. Before Christmas, I saw editor Louise Dennys at a party and she asked me how P.K. was. I told her P.K. was her usual wonderful self but that she had been having strange episodes of amnesia. People would remark that P.K. was still bright, witty, engaged, but if she went somewhere, she would remember nothing of the event later on. Louise said something to the effect of, "Oliver Sacks must talk with her. He is doing a study of writers who have had such experiences. He finds they can be articulate and describe what is happening to them." Louise offered to put the two in touch. P.K. was delighted and looking forward to a dialogue with the world-famous neurologist, whom she admired very much. As she remarked to me, what does it tell us about the brain that your body can go on without you while are elsewhere? P.K. phoned me just this past Wednesday; her voice is still in my ear. What did we talk about? Not about a dream but about her and Sacks getting together to talk about cerebral events. She said she had written two pages about her amnesia. Needless to say, I haven't seen the two pages. In a recent letter to her, I asked if I might visit. I felt an urgency to come. She wrote me back: "Thank you for the dreams and for your willingness to come at the drop of a tear if I start breaking up – which I am doing, of course, but undramatically and slowly. Quite weird, the end of life. Never knowing if you are going to wake up dead. Unknown territory." The point is she meant it: the waking up. The chance that the journey has only just begun. Rosemary Sullivan is a poet and biographer. Her latest book, Villa Air-Bel: World War II, Escape and a House in Marseille, won the Canadian Jewish Books' Yad Vashem Award. She has written biographies of Elizabeth Smart, Gwendolyn MacEwen and Margaret Atwood.